Whatever your horse riding discipline, we can source your supplies for kids ponies and performance horses, show hacks and show jumpers, trotters and trail horses, eventers and endurance horses, or the ultimate elite thoroughbred race horses. We understand and share the importance of each to you! We specialise in quality horse gear: the best quality horse training aids, stable equipment, horse grooming products, thoroughbred race horse and harness racing supplies. 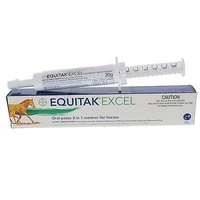 Plus we offer a selection of essential horse first aid supplies, new and innovative equine medical equipment for advanced veterinary treatment, and quality supplements to ensure your horse’s health, wellbeing, and maximum performance. When you buy your horse products online, by email to sales@equineperformance.com.au or by phoning 1300 886 968, we guarantee a prompt, personal and friendly service to discuss and meet your special requirements. We welcome your recommendations for new products, and your feedback is always welcome! Walsh Harness and Saddlery (Est. 1914): Walsh is a leading American harness maker, established for over 100 years, specialising in harness racing, thoroughbred racing and show jumping equipment. Sponsor of many leading international show jumpers, Walsh produces high quality nylon or leather halters and leads, nylon or leather horse training aids for all disciplines, side reins, draw reins and martingales, lungeing gear, long reins, girths, bandages, leather horse boots, racing harness and accessories, and lightweight nylon thoroughbred racing tack. A highly customizable brand, they will adapt almost any product to suit your individual requirements “Win with Walsh” is their motto, and their team certainly live up to it. Signature Leather: the finest bespoke riding gloves on the market, individually made to order, with a palette of fifty colours to choose from. Made from the most advanced WR100X specialist leather, to give exceptional wear, grip and comfort to the rider. Signature Leather offers many seasonal design options, including knit, crochet or leather gloves, with plain, digital or perforated leather, and featuring a variety of wrist lengths, wrist closures, contrast stitching and design detail. Why be the same when you can be different? Italian Racing Tack: seamless Horflex boots and lightweight, moulded open front boots, for the harness racers. Davis horse boots: the best on the market, and the biggest selling horse boot maker in the USA. Hard wearing, long lasting, PVC compound skid boots, therapeutic boots, splint boots and bell boots, in plain, patterned and funky metallic colours. Is bling your thing? Then we have just the colour scheme for you. ThinLine: the best in European riding technology. Leading designs in saddle pads for all purposes, sport boots, jumping boots, shock absorbing hoof pads, comfort girths, non-slip leather reins and refined headcollars. Winning Tongue Plate horse bits: multi award winning tongue control bits. Cutting edge designs, endorsed by leading riders, trainers and jockeys all over the world. New bit models in dexter ring racing bits, half cheek driving bits, snaffle bits, eggbutt and dee bits, with or without extended tongue control plates. No further need for tongue ties to prevent the tongue getting over the bit, the WTP bits assist horses with soft palate displacement, and help to prevent them from bleeding, roaring, rearing, pulling or hanging. TimerGPS Stopwatch and Heart Rate Monitors: technology from Finland, originally designed for harness racing, and now incorporating software for eventing, or for wherever pace, speed, time and distance data recording is required. Highly sensitive and accurate GPS data can be downloaded to your PC for a comprehensive training log in four modes. Flair Nasal Strips: the original and best, to maximize a horse’s respiratory capacity and function. Fully approved for racing, eventing or any equestrian activity which requires the lungs to perform at their best. 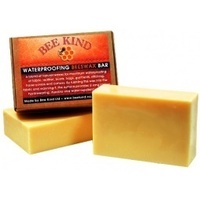 Helps to prevent bleeding by supporting the nasal passages in times of severe exertion. Quality horse feed supplements by EquinActiv: high quality performance supplements based on a whey protein isolate formula, for breeding stock, young stock, sick or injured horses, aged horses and performance horses. Formulated for topline and muscle building, and total body conditioning, Sculpt, ImPulse or Propulse will have your horse looking and performing at its best. And your horse will love a lick of Garlish too! Plus we stock a great range of nutritional supplements for race horses, performance horses, breeding and youngstock, and yearling sale preparation: equine vitamin and mineral supplements: non-swabbable joint and mobility supplements: pre-race and anti-bleed horse drenches and pastes. With brands such as Vecta, Kohnkes Own, Jenquine, Joint Performance, KER, and more, we have the products to make you a winner – in the competition arena or in racing. Equine medical equipment and veterinary diagnostics: We also stock Polar Equine pulse and heart rate monitors, for the simplest and quickest indication of horse fitness and health. The Medivet MPTS360 equine nebuliser is the next generation in nebulisers for horses, designed for use with supplementary gases for maximum lung function and/or altitude training, or to clear the airways and administer drugs through inhalation of particle size medication, which is absorbed directly into the bloodstream. For wounds, scar tissue, and deep muscular or tendon injuries, we offer the Riancorp portable Low Level Laser Therapy unit, developed in conjunction with vets, and used widely for humans in the hospital system. It is a simple and easy to use laser therapy, ideal for professional performance and racing stables. Horse First Aid supplies: we carry a comprehensive range of equine first aid and medical supplies, including Pfizer tetanus and strangles vaccines, digital equine thermometers and stethoscopes, non-swabbable anti-inflammatories, leg wraps, ice gel pads, wound treatments, bandages, dressings, dressing holders, poultices, Magic Cushion hoof padding, Intelligent Ice boots, cleansing and anti-fungal solutions, anti-bleed products, and Nostrilvet equine anti-allergen. Essential stable equipment: quality Australian made polypropylene or aluminium shovels, ergonomic feedscoops, horse waterers, plus stable forks and other essential items for a happy, healthy stable. We are the Australasian distributor for Freedom Feeder, the original and best in slow feeder small hole hay nets, to eliminate hay wastage, and improve your horse’s natural grazing contentment and digestion. 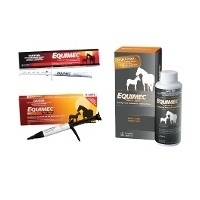 Essential horse and pet grooming supplies by Equi-Towel of California: we are the official distributor for Australia and New Zealand: sanitized, anti-bacterial, super absorbent, hi-tech microfibre wash cloths for horses and pets, drying towels, polishing cloths, sweat scrapers, ear cloths, tail bags, carry bags, and 4-way stretch Equi-hoods for horses. Superb presentation has never been so easy!